Saints once again show why they are serious Super Bowl contenders. Unlucky Alex Smith suffers a horror injury. LONDON: This is the time of year that can either make or break a team’s regular season. Are they headed for the playoffs or are they set to be on holiday in January? Here is what we learned after week 11 of the NFL. Where to start analyzing Monday night’s epic in Los Angeles? It was certainly one of the best games of gridiron I have ever seen. From the first kick-off to the final seconds, both sides threw caution to the wind, with the Rams winning by three points in a 54-51 nail-biter — on the way to producing a classic clash that will still be talked about for years to come. American Football is often criticized for being too “stop-start,” but watching these two Super Bowl favorites go hammer and tongs for four quarters would have been enough to convert any detractor. To put into context just how explosive both teams were, it was the first time two teams have scored more than 50 points in a match in the history of the NFL. While many are praising the defensive qualities of a playoffs-bound Chicago, we are just glad the defensive units did not bother showing up for this one and we had the privilege of watching two blistering offenses in full flow. If either of these teams goes on to win the Super Bowl, they can pinpoint this match as one of the key moments of their season. 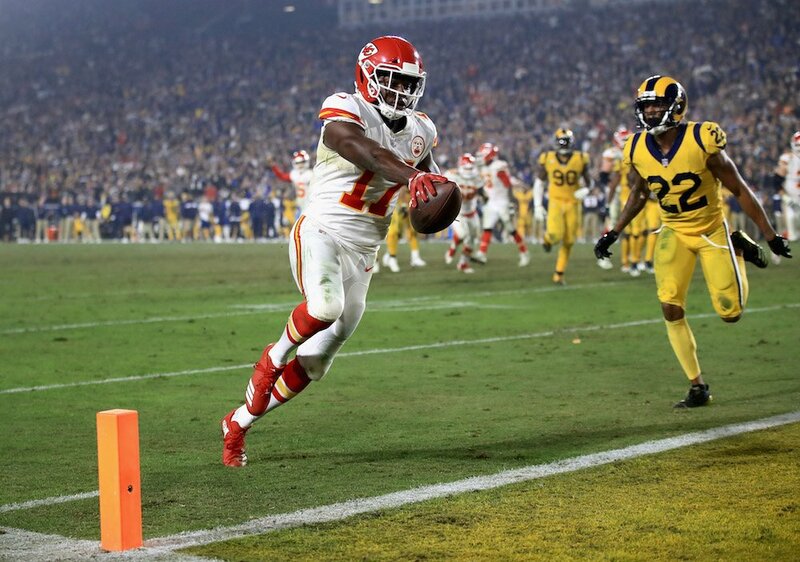 It was raining touchdowns in the all-time classic between the Chiefs and the Rams. When the league fixtures were announced in the summer, the Saints-Eagles match-up was singled out as a test of the two team’s NFC championship credentials. Unlike the Rams and Chiefs extravaganza, though, this ended up being a damp squib of a game. Philadelphia just did not turn up, while the Saints — the hottest team in the league at the moment — were imperiously led by Drew Brees to a blowout 48-7 win, which now sits in the record books as worst defeat in the Eagles’ history. 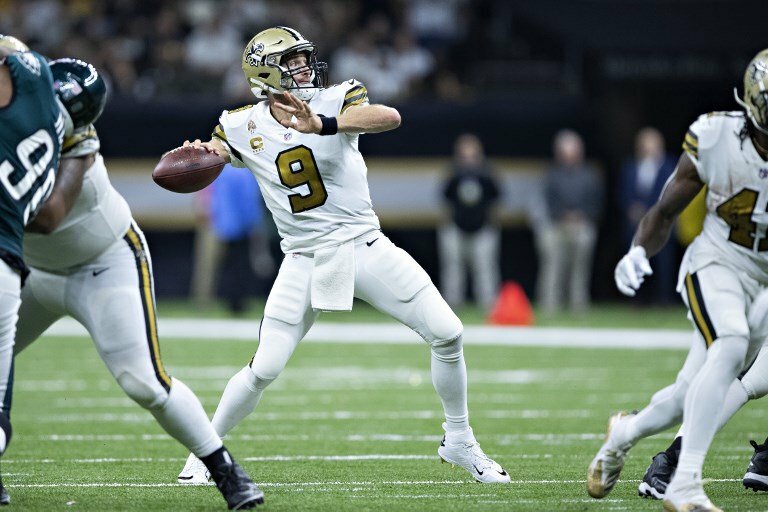 Brees threw for 363 yards and four touchdowns, meaning that the 9-1 Saints have now scored 40-plus points in three matches in a row and have become the first team in the Super Bowl era to post at least 40 points six times in the first 10 games of the season. It will take a very good team to stop this Saints side from claiming glory in Atlanta next February. Drew Brees was once again in imperious form for the ever-improving and dangerous Saints. Gridiron is an extremely technical and tactical sport, with coaches and players spending weeks perfecting certain plays. But sometimes a moment of sheer athletic prowess wins out and blows all the spreadsheets and playbook analysis out the window. Week 11 saw its fair share of brilliant moments — from Kenny Golladay’s sublime touchdown catch for the Lions against Carolina, to Juju Smith-Schuster’s unbelievable grab for the Steelers on a late, game-winning drive, not forgetting Odell Beckham’s strength to hold on in the end-zone for a Giants score against Tampa Bay. And those moments are exactly why millions of people tune in to the NFL every week. 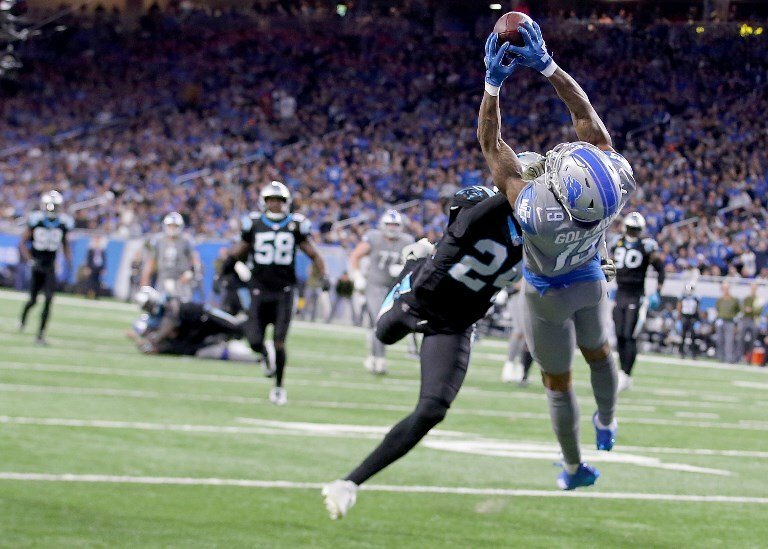 Kenny Golladay with his moment of magic during Detriot's 20-19 win over Carolina. Much progress has been made in preventing concussion and serious head injuries in the NFL in recent years. Rule changes and safety measures have been implemented, and we are beginning to see a reduction in the number of head and neck traumas. 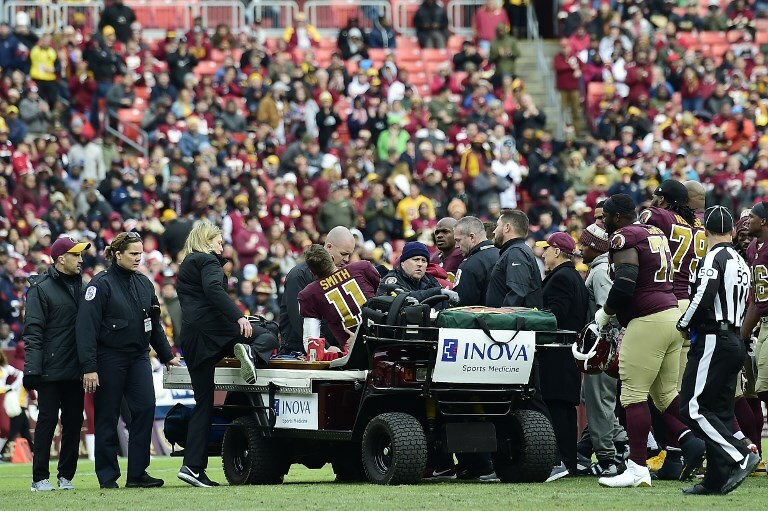 But in sport, horror injuries can happen — and there is little the league can do to prevent the kind of leg breaks Washington’s Alex Smith suffered during their game against the Texans. Everyone watching immediately knew the severity of the break, and it is clear Smith faces a lengthy recovery. Such injuries can end careers. Here’s hoping he makes it back. Alex Smith being stretchered off after his horror injury suffered against the Texans.